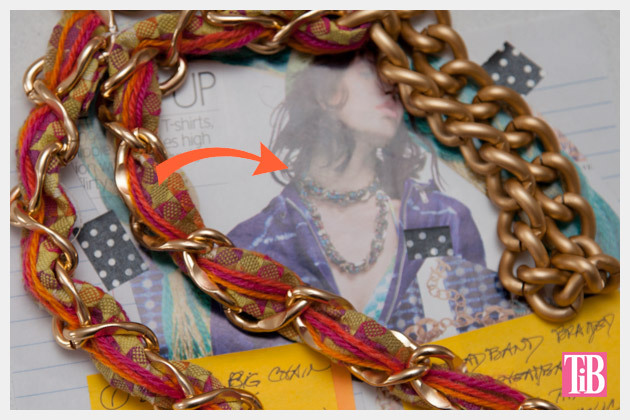 This colorful DIY Woven Chain Necklace can be made with supplies you may already have and in less time than you usually spend of Facebook! 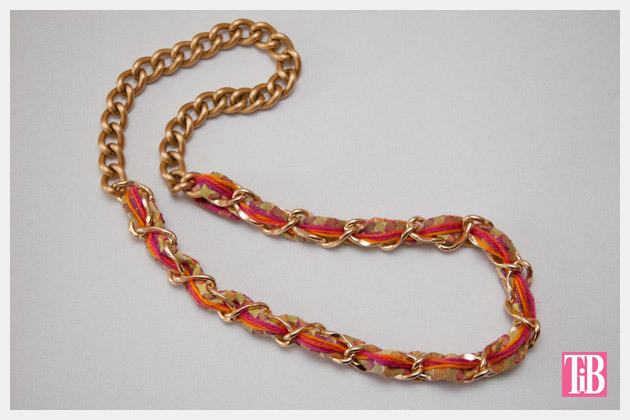 Spring is a great time to mix up materials and add a colorful necklace to your wardrobe! I used two different chains for this project. I actually used up the leftover chain from this project and this one. 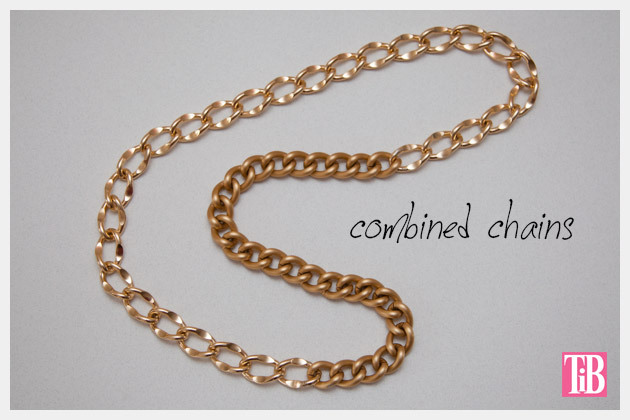 You can use just one chain if you prefer. 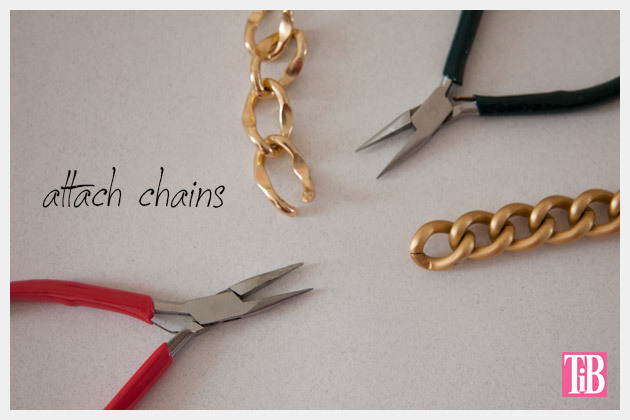 Using your pliers open the last link on one of your chains and close it around either the other end of your chain or to the other chain to close it. This will form a circle. My necklace is 41 inches around. Its a little tight when I loop it around my head, but as I mentioned I was using up leftover chain. If youre buying chain make sure you get enough to easily go around your neck twice. 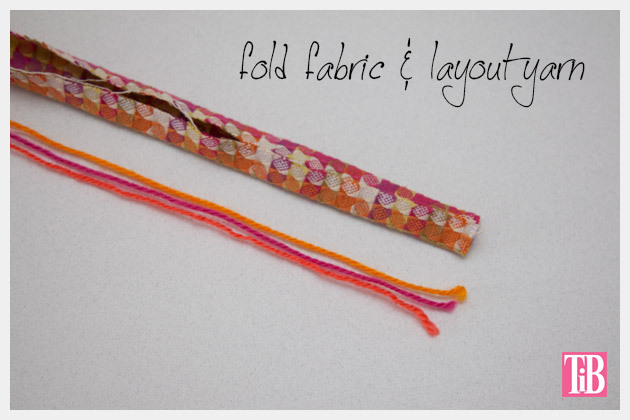 Cut a long strip of your fabric. I cut mine about 2 inches wide and long enough to go through the length of your chain. Fold your fabric strip into thirds. You can press it down with your fingers, just enough to make it easier to weave through your chain. 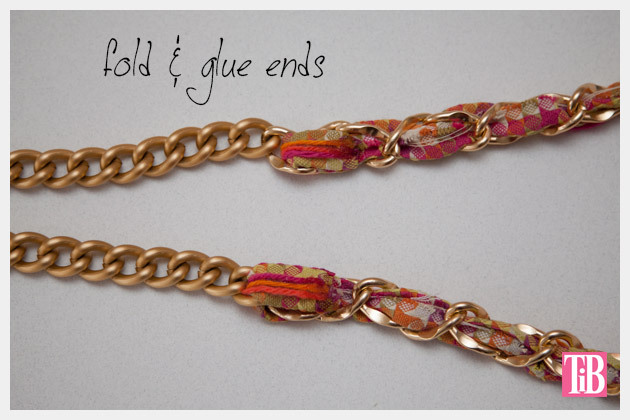 Weave your folded fabric strip through your chain. Thread your yarns onto your large needle. Use your needle to weave your yarns through your chain. When you are finished weaving your fabric and yarns through your chain, trim your ends to be long enough to fold over so you can glue them down. 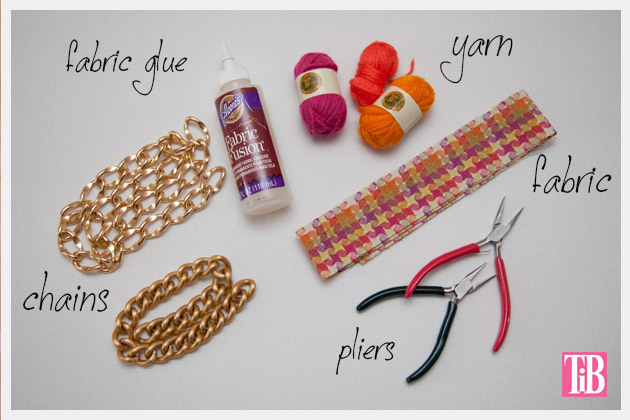 Using your fabric glue, glue your fabric and yarns to the back side of the fabric on your necklace. I was starting to panic when I realized I had noooo idea what my next DIY project would be. But whats that saying about necessity being the father of invention? After a bit of brainstorming and rummaging through my craft supplies, it all seemed to come together. This fabric was some of the leftover fabric from this post. 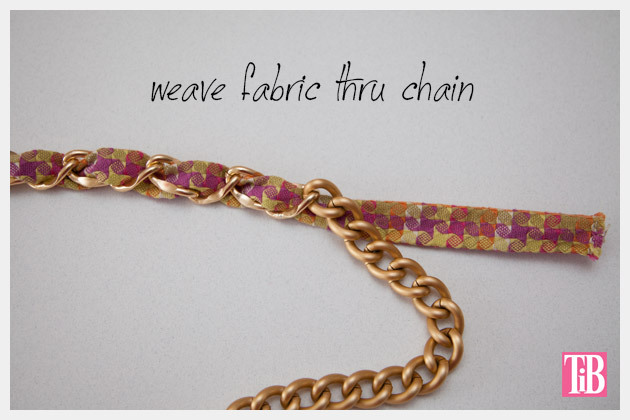 I love the colors for spring and they work so well with the gold chain. 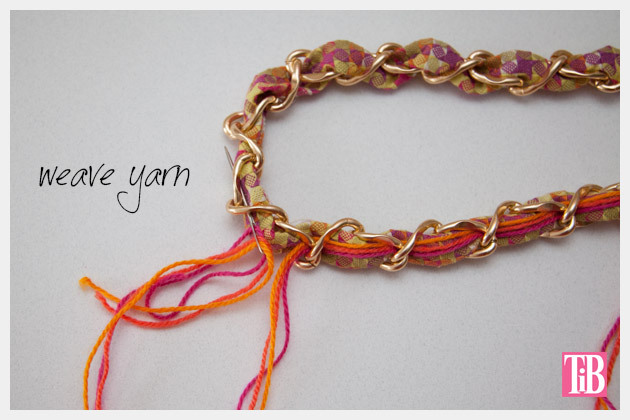 The yarn is Bonbons from Lion Brand Yarns I used in this post. The chains are from this post and this one. I love the look of a large chain necklace. 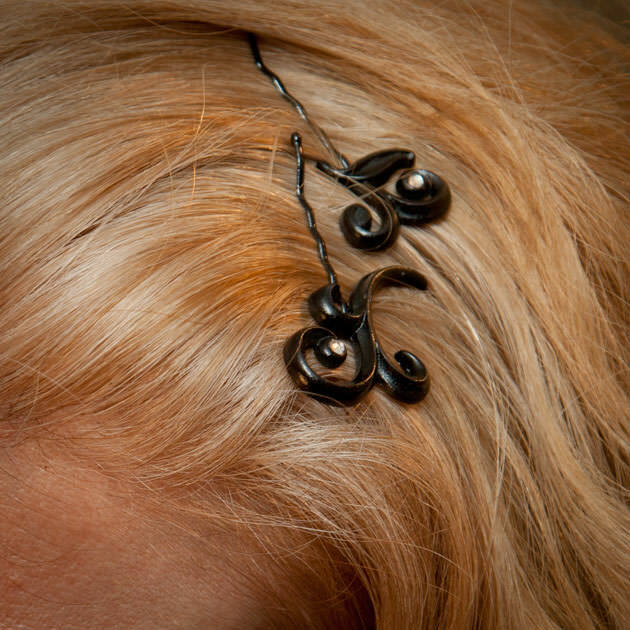 You can easily wear it with a simple t-shirt or dress it up with a little black dress. Great job. 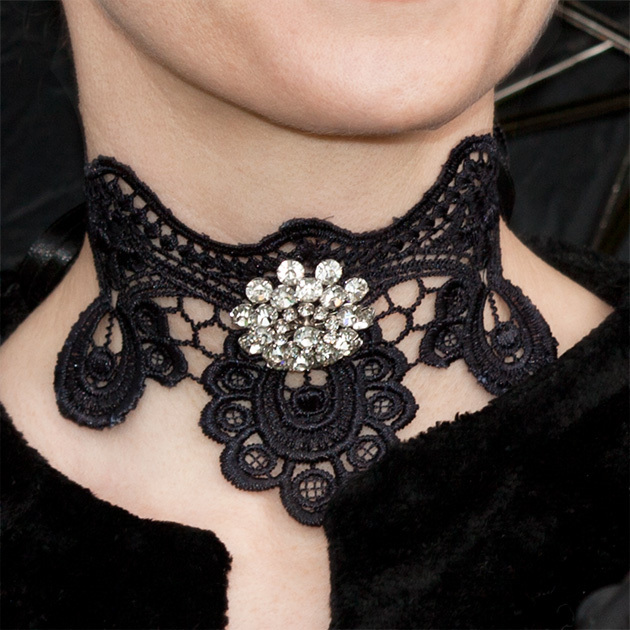 I have a heavy chain belt I could convert to a necklace like that. i was thinking why don’t you join instructables? I will definitely check out instructables. Thanks! This came together perfectly! 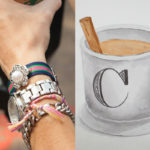 I love how it’s leftovers from a mish-mash of past DIYs, yet completely works and the inspiration is spot on! Great job!